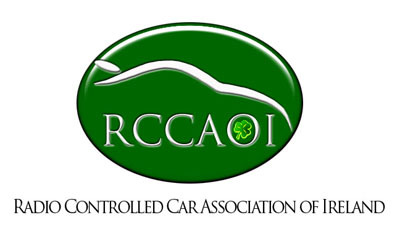 Round 1 of the RCCAOI 1/10 Off Road National Championships took place at the Dublin Model Car Club on May 8th. The pace was quick right from the first heat with Adam Keegan and Alan Thompson battling for the heat win. Adam won the first race with a quick 17 laps. In round one only Dylan and Will went quicker, both breaking into 18laps, with Dylan taking round one overall. Round 2 was also fast and this time Alan managed to go 18 laps to keep the pressure on. Only Dylan could go quicker than Alan with Derek finding some speed and finishing 3rd in round. Dylan completed his TQ run with another round win in Rd. 3 from Will and Denzell. Consistency paid off for Alan and Adam as they finished 3rd and 4th in overall qualifying. Schumacher’s were out in force in Rd 1 with 1, 2, 3 being held by Jacek, Ivan and Tony. Round 2 was more of the same with the top 3 finishing in the same order again. Graham Parkes moved up to 3rd in Rd 3 but Jacek, Ivan and Tony had done enough to secure the top qualifying spots. Dylan and Denzell were the only drivers into 18 laps in Round 1 with Dylan taking 1st in round by 3 seconds. Derek and Will put in some really quick laps showing that once the consistency would come that the fight for top spot would be well and truly on. Will improved up to 18laps in round 2 but Dylan improved too and secured the overall TQ. Denzell recovered from a broken car in round 2 to put in another 18 laps in round 3. However it wasn’t quick enough as Derek found his groove and put in a quicker 18 run to go 2nd in the final round. Dylan decided to go quicker again with a mistake costing him a 19 lap run. This was the battle between Graham Parkes and Tony Dorney with Graham taking the overall TQ. Round 3 produced a very close finish with Graham taking the win by 0.32s – great racing!! Final 1 was a very close race between Dylan and Will right from lap 1 with Will taking the win by just 1.5s. Derek showed his speed and moved from 6th on the grid to 3rd. Leg 2 saw Dylan get a great start and led from start to finish with Will coming back from a 1st lap incident to finish 2nd overall. Biggest improvers in this leg were Denzell going from 5th to 3rd and Colin moving from 7th to 4th. It was all down to the last leg with only Will and Dylan able to race for the win. 3rd was wide open so the pressure was on for the final leg. Adam took up the early lead in Leg 3 with both Dylan and Will dropping back with mistakes. Dylan recovered the fastest moving back into the lead on lap 5 and staying there to win the leg and the overall. Denzell finished 2nd in the leg with Will moving back up to 3rd. Good close racing saw Dylan secure the win for the first National of the year with Will in second and Denzell in 3rd. Colin had a great set of finals and moved from 7th to 4th overall. Adam and Alan had some issues in the finals and were unable to match the great qualifying they put in. Although with the speed they showed, it definitely won’t be long before we see them on the podium. Well done to both of you!! Leg 1 saw Jacek take an easy win right from the start. Ivan secured 2nd while Graham and Tony battled for 3rd with Graham taking it by just under 2s. Leg 2 was a lot closer with Ivan taking the lead 2 laps from the finish and holding on for the win. It was all to play for in leg 3 but Jacek led from start to finish to take the overall win. Tony improved and finished 2nd to secure 3rd overall with Ivan finishing in 2nd overall. Dylan settled down after an early error in leg 1, got himself back into the lead and drove away from the field to take the win. Derek also pulled back from bad start to finish in 3rd just 0.6s behind Denzell. Leg 2 saw everyone succumb to the pressure and the places were changing rapidly for the first 5 or 6 laps. After everyone settled down Dylan took the win from Will and Denzell. 2 wins from 2 saw Dylan secure the overall win so the remaining podium positions were up for grabs in leg 3. Leg 3 was a much more consistent race with Dylan taking the win from Derek and Denzell. 2nd place was a tie with Derek taking 2nd overall with a faster time from Denzell. Leg 1 saw the 4wd clubman battle continue with pole sitter Graham dropping back to second and Tony taking the win. Graham had an easy win in leg 2 with Tony crashing out so the winner would be decided in leg 3. Graham led off from the start tone to bring home the win in leg 3 and the overall with Tony finishing in 2nd. A great start to the 2016 season with some close racing! Let’s hope the rest of the championship is as close!! Finally, thank-you to all those who turned to up to race and also the DMCC for running a great event. Round 2 of the 1/10th Electric buggy championship took place over the weekend. Click on the picture below for a round up of events at this National event. Details are now available for the next round of the 1/10th Electric Off-Road Championship. This event takes place on June 14th at the DMCC home venue in the Naul, Co Dublin. Details can be view by clicking on hte Picture below. Details are now available for the 1/10th National events in 2015. Click on the below picture to get your information pack. These dates will be added to the confirmed list of dates for National Events found on the Rccaoi Calendar over the coming days.